Apple includes a pair of alkaline AA batteries with its Magic Mouse, but I recommend eventually replacing them with rechargeable batteries. And if you do, you’ll want to get four: one set for the mouse, and a second set charged and ready for when the batteries in the mouse run out of power. The Battery Pack fits into the Magic Mouse’s battery compartment and also replaces the original battery-compartment cover. It’s a little tricky to insert the Battery Pack in the mouse; I had problems getting the bottom part of the Battery Pack, near the Magic Mouse’s cover latch, to seat properly, which prevented the mouse for powering on. Once the battery pack cover was fully flush with the edge of the mouse, however, everything worked fine. The Mouse pane of System Preferences displays remaining battery life. When it’s charging a battery pack, the Magic Charger's indicator light flashes green, turning solid green when the battery is fully charged. As with standard batteries, you can see the Magic Mouse's battery power lever in the Mouse pane of System Preferences. 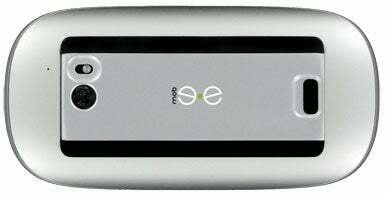 Mobee’s Website says a fully charged battery should last six days. I was able to go over seven days on a full charge, though if you’re resting the Magic Mouse in the Magic Charger when not in use, you don’t have to worry about draining the battery. The Magic Charger will likely cost you a bit more than a four-pack of rechargeable AA batteries ($10 to $20, depending on the milliampere-hours (mAH) rating of the batteries) and a charger ($10 to $30, or even higher). But it offers a very easy way to recharge your Magic Mouse, and you never have to take the batteries out of the mouse.